State Herbarium botanist Peter Lang reports that two recently described species of bladderwort (Utricularia) have been added to the Census of South Australian plants, algae & fungi. Bladderworts are carnivorous plants that have leaves modified to form small bladder-like traps. Utricularia fenshamii is remarkable in being almost entirely confined to mound springs of the Lake Eyre Basin, and in South Australia is only found on such springs just beyond the northern edge of the Flinders Ranges. 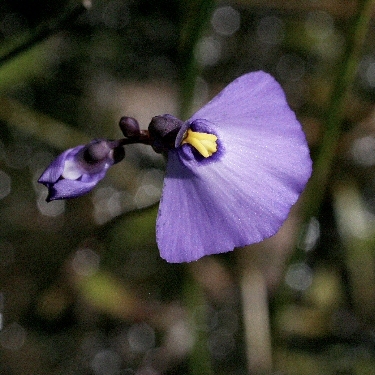 Utricularia barkeri was named after Bill Barker, Honorary Associate and former Chief Botanist at the State Herbarium, who had made annotations on herbarium sheets in the mid 1980s to indicate differences from the more common U. dichotoma, with which it often grows. In South Australia it is found in the South-Eastern and Kangaroo Island regions. 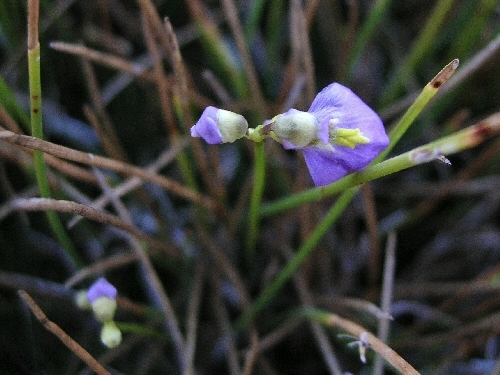 The photos show flowers of Utricularia fenshamii (top image) compared to the more common U. dichotoma (bottom), in which it was previously included. This entry was posted in News, The Plant Press on 9 May, 2014 by Jürgen.